Grand Lake, Oklahoma is unforgettable for its beautiful natural surroundings and scenic-winding shorelines. As a year round playground, Grand Lake Oklahoma Real Estate offers some of the most scenic wonders within Northeast Oklahoma. The area is known for sports fishing and water sports opportunities. However, the area also offers access to marinas, privately owned resorts and many state parks. The Grand Lake O' the Cherokees is central to the area and it provides more than 46,000 acres of outdoor recreational opportunities. The area is also home to the Pensacola Dam that has been hailed as the longest known multi-arch dam on the globe. There are several cities and communities that surround Grand Lake, including , Ketchum, Langley, Cleora, Disney, Monkey Island, Grove, Bernice, Vinita, Duck Creek, Horse Creek, Raper Hollow, Patricia Island, Bernice and Zena. However, Miama, Pensacola, Wyandotte and Jay are also close by. Area events included the Annual Welcome Back Weekend, Duck Creek Fireworks, National Hook-n_Cookoff, Various Rock-Climber Events. Numerous museums are located within the area, including the Dobson Museum, Mariee Wallace Historical Museum and Starbird's Custom Car Museum. Other places of interest within the Grand Lake area includes Har-Ber Village, the Lendonwood Gardens and Cayuga Splitlog Mission Church and Pictures in Scriptures. Grand Lake O' the Cherokees has long been considered one of the most popular vacation destinations near the Ozark Mountain foothills. However, one of the most attractive things about Grand Lake Oklahoma Real Estate is the exclusive opportunities to own waterfront homes and resort-styled properties. Although Grand Lake is frequently the destination of choice above other Green County areas that offer sailing and bass fishing, second homes are popular within these communities due to the appealing recreational lifestyle the area offers. The Bernice Nature Center, Honey Creek Landing and the Picture in Scripture Amphitheater are just a few of the exciting attractions that make Grand Lake a great place to live. However, other attractions offered within the area include the Eastern Trails Museum, Bigshots Night Club and the Monkey Island Trail Rides. Yet, Shangri-La Golf, Cherokee & Grand Lake Casinos provide diverse attractions within the area. Traveling to and from the Grand Lake area is possible via the Grand Lake Regional Airport, Teramarinda Airport, South Grand Regional Airport and other nearby landing strips. The beautiful neighborhoods of Grand Lake, Oklahoma offers something for everyone, including investors, first time home buyers, and those that desire a vacation home. Whether you are searching for a single family home in Ketchum,Langley, Cleora, Grove, Afton or another rural area, our real estate team will assist you with locating a property that meets your specifications. We can assist you with your search! Call us or email us to request our professional services, and we will help you find the vacation home or dream home you have always wanted. 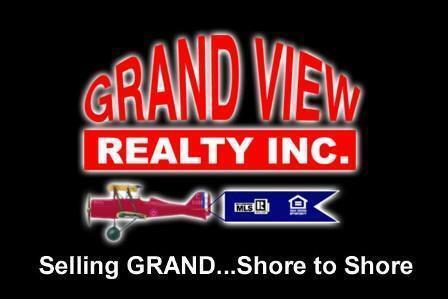 Contact our office today for relocation assistance to the Grand Lake Oklahoma Real Estate market. Welcome to Erin Davis’s premier real estate website! We are glad you are here. We take pride in providing you the best possible service, as well as the latest cutting edge tools, to make all your real estate transactions as smooth as possible. You won't find another site with more comprehensive, local real estate information.